﻿ Welcome to TransformationServices, Inc.
ARE YOU INTERESTED IN BECOMING A SUBSTANCE ABUSE COUNSELOR AND FINDING A JOB IN THE FIELD? DO YOU NEED SUBSTANCE ABUSE OR MENTAL HEALTH TREATMENT? TransformationServices, Inc. uses a holistic approach to Substance Abuse and Mental Health Counseling, incorporating a healthier physical, emotional, and spiritual lifestyle. Since 1995, the Healing Garden component of our treatment program has had available an outdoor alternative, allowing clients to learn and practice effective wellness management techniques. Holistic Career and Personal Changes from a Wellness Perspective: Mindfulness, Life & Job/Business Mentoring and Coaching. ASKTHEDOC: On/Call Questions Answered Regarding Mental Health and Substance Abuse by TSI Consortium Staff Via Email. 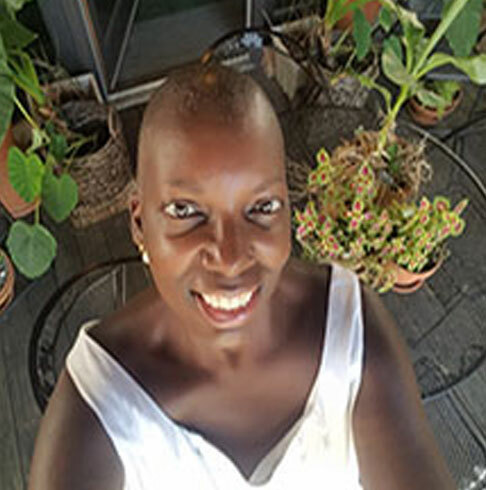 Dr. Ingrid D. Hicks is a Licensed Clinical Psychologist, Consultant, Grant Writer, and Author specializing in Minority Education and Curriculum Development. Her company TransformationServices, Inc. (TSI) is a Milwaukee Certified Small Business Enterprise, as well as a Wisconsin Minority Business Enterprise. Dr. Hicks also specializes in business filings (Profit vs. Non-Profit), Program Development & Evaluation, Trademarks/Branding, Community Networking and Collaboration, Grant Writing for Public and Private Funds. She also assists Mental Health and AODA facilities become State of Wisconsin DHS 75 approved, and provides clinical oversight and supervision, as well as Psychological and Legal consultation to Individuals and Institutions. The mission of TransformationServices, Inc. (TSI) is to provide Substance Abuse Training (Continuing/Education, Supervision), Assessment (Return to Work) and Treatment Employee Assistance Program (EAP) services in a peer to peer model. Services focus on the unemployed, to underemployed, employees, and business owners. Alcohol and drug problems disproportionately affect those in urban communities, and that is an area of expertise. Companies have employees. Employees sometimes have problems. TSI can often help with those problems. TSI also provides consultative services for other facilities non/for profit management, grant writing, DHS certification, trademarks, program development & evaluation. TransformationServices, Inc. © 2018. All rights reserved.